Dust in space used to be an annoyance to scientists, who found that it got in the way of their observations. However, as the types of observation available to scientists expanded, so did the recognition of dust’s importance in understanding processes in the universe. Scientists study dust in space through a variety of means, including Earth-based collection devices, observations using infrared astronomy, and spacecraft-based instruments. SDC is the third category: it is a spacecraft-based dust detector. A dust counter is an instrument that counts particles of dust in space, usually when they impact the instrument. The instrument may collect information on mass, velocity, density, size, or some combination of the four. SDC is not the first dust counter, although it is unusual because it is looking at dust in the outer reaches of the solar system. There are numerous dust counters that have been sent into space, including those outlined below. Each of these missions looks at different kinds of dust or dust found in different places in the solar system. Most of the dust counters that have flown have been impact-based, where the dust grain properties are measured when a grain impacts the detector. For more information on how dust counters work, see About the Instrument. 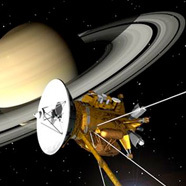 The highly successful Cassini spacecraft is a current mission that was sent to study Saturn. Onboard this mission is an instrument known as the CDA. The CDA (or Cosmic Dust Analyzer) is designed to measure size, speed, and direction of dust grains near Saturn. The goal of the instrument is to learn more about the formation of celestial bodies and where these small particles of dust come from. 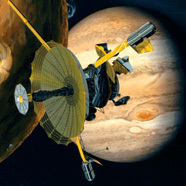 Galileo is a mission that was sent to investigate Jupiter. 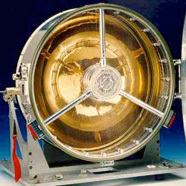 There were many instruments on board, but the instrument we care about in particular was the Galileo Dust Detector. The job of this instrument was to examine dust in the Jovian system to see where it comes from, where it goes, and what happens to it in between. GORID is an experiment that was put forth to measure dust and debris in geostationary orbit. There are many satellites in this orbit, and the goal of GORID was to better understand how much debris is in this region and what kind of threat it poses to satellites. GORID was a project of the European Space Agency. 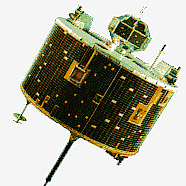 Hiten is a Japanese satellite launched in 1990 to study dust in between the Earth and the Moon. The actual dust counting instrument, called the Munich Dust Counter, transmitted data until 1993 when the spacecraft was crashed into the Moon intentionally. The Munich Dust Counter was the only instrument aboard Hiten. Nozomi was the name of a Japanese mission to Mars. Unfortunately, the mission failed due to a mistimed thruster boost and a hardware failure. 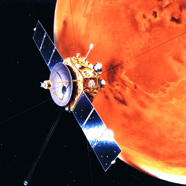 The dust counting instrument aboard Nozomi was called the Mars Dust Counter and it was meant to measure dust coming from Mars itself as well as Phobos and Deimos. 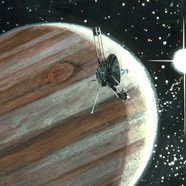 The late Pioneer missions gave us our first detailed explorations of Jupiter and Saturn. While certainly not noted for their dust counting instruments, both of these missions had them. The detector was an instrument called the Meteoroid Detector and used cells of argon and nitrogen to measure penetration by meteoroids. Both of these satellites have flown past the distance at which Earth can contact them. Stardust is a NASA mission to collect dust from the tail of a comet. While this is the main goal of the spacecraft, it has others, and thus the instrument we have interest in is the Dust Flux Monitor Instrument. The goal of this instrument is to monitor the amount of dust generated by Comet Wild 2, using a substance known as Aerogel. 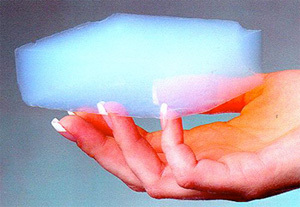 The cells containing this Aerogel returned safely to Earth, where scientists extracted the dust from the cells and studied it. The Ulysses probe has the primary goal of studying the sun from every angle and latitude. However, the mission also has a dust counter on board that is identical to the one that was used on the Galileo mission. 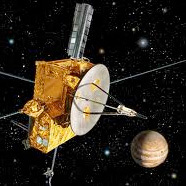 The dust counter on this mission ran for over fourteen years, making the Ulysses data set very comprehensive. 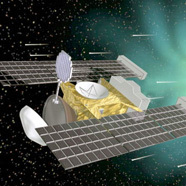 The Ulysses Dust Detector discovered a high speed stream of dust grains entering the solar system from interstellar space.